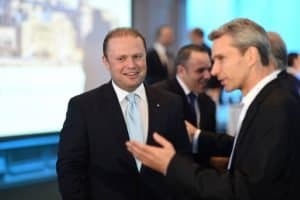 Correspondence between Christian Kaelin of Henley & Partners and SCL Group shows that Kaelin asked SCL to introduce him to Joseph Muscat in June 2011. At the time Lawrence Gonzi headed a PN government in Malta and Joseph Muscat had been Leader of the Opposition for three years. The correspondence indicates that SCL – that would later set up Cambridge Analytica – had been advising Malta’s Labour Party for several years before the 2013 elections. The correspondence reveals Henley & Partners’s first attempts at establishing a relationship with the Labour Party that would eventually appoint it as exclusive vendor of Maltese citizenship less than two years later. Henley & Partners and SCL frequently collaborated jointly in several jurisdictions particularly in St Kitts & Nevis and Grenada where SCL assisted Henley & Partners in ensuring the re-election of political parties that supported citizenship sale and, in the case of Grenada, facilitated the implosion of the opposition party there after it campaigned for the removal of the scheme. In a separate development an ongoing election for the major opposition party in St Kitts & Nevis is currently being contested by Delara Taylor, himself a Shareholder of Henley & Partners Russia, a subsidiary of Henley & Partners. The correspondence between Henley and Partners and SCL from 2011 shows that after requesting to be introduced by SCL to Malta’s Labour Party, Christian Kaelin also informed SCL that he would attempt himself to find a way of meeting the Nationalist Party. This was an initiative SCL could not assist Kaelin with as SCL had no contacts in the PN. Indeed Christian Kaelin visited the PN in the summer of 2011 having been introduced there by Member of Parliament David Agius, now Deputy Leader of the PN. Sources inform that Christian Kaelin proposed to the PN a citizenship sale scheme but the PN showed no interest in the project. Christian Kaelin was not heard from again until he emerged in 2013 as Joseph Muscat’s choice for the provision of the scheme. Eighteen months after Kaelin’s first foray in Malta, in November 2012, Alexander Nix from SCL, who would later run Cambridge Analytica until his forced resignation when the scandal of data manipulation and dirty tricks campaigning emerged a few weeks ago, visited the Nationalist Party to propose to assist them in the elections that were due two months later in the first week of March. 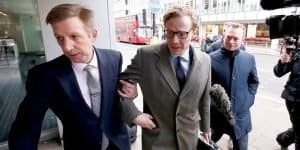 Alexander Nix’s approach was not taken seriously by the PN at the time as his visit occurred suspiciously close to the election at a stage that would be too late to develop any initiatives that might be of any use. PN officials also felt that the unsolicited nature of the visit by Alexander Nix made the entire thing too suspicious. Former PN officials that spoke to me in confidence expressed the view that hindsight confirmed their suspicion at the time that SCL was making its approach in order to extract as much information from it that could be useful for the Labour Party’s campaign. The information in the Henley & Partners – SCL correspondence unearthed by The Spectator confirms that the two organisations have consistently worked hand in hand in several jurisdictions and have done so in Malta since 2011 before the time that Labour had announced its ‘roadmap’ that would include as its first land-mark the sale of Maltese citizenship.